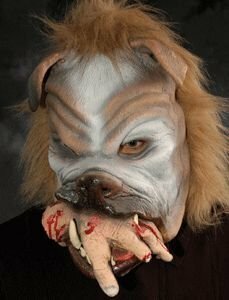 This is a funny/scary mask of a dog with a severed bloody hand in its mouth. 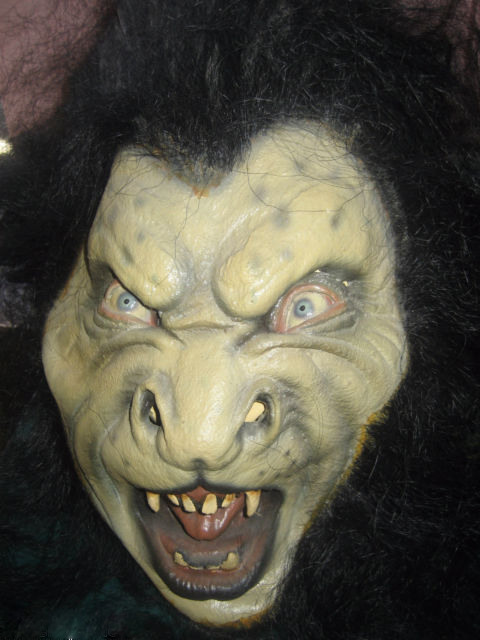 This latex mask is large enough for any adult (@13 inches tall X 10 inches wide). It is in excellent condition. 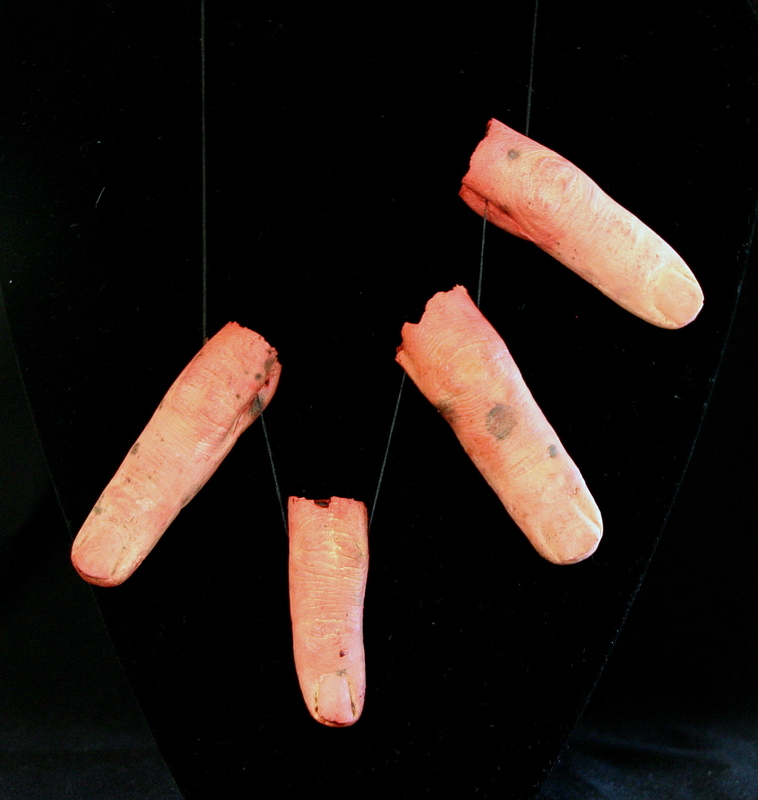 It was made by Zagone Studios. 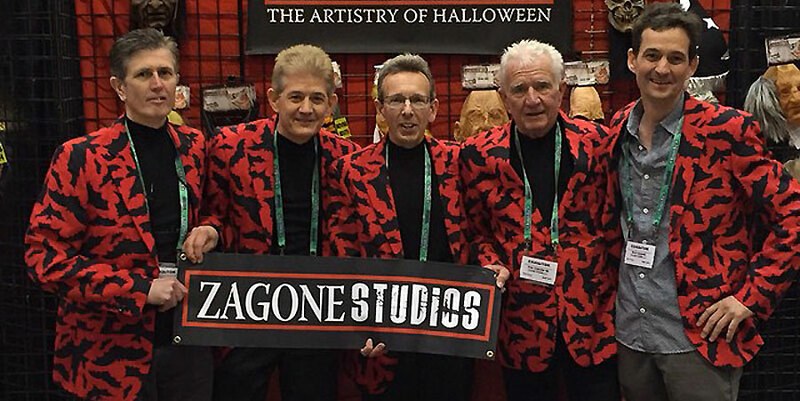 For more than 40 years, Zagone Studios has been making quality masks by hand in the Zagone Chicagoland factory and they are recognized as one of the leading producers of premium Halloween masks. 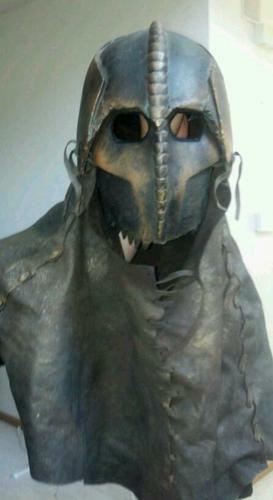 This is not a prop – it is a mask intended to be worn. It is in as-new condition.